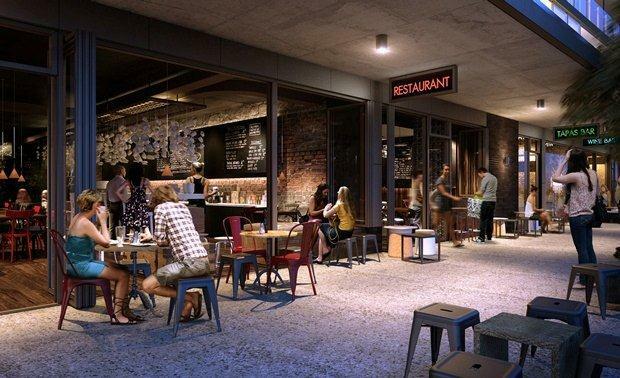 Brisbane-based property developer Turrisi Properties has released to market the retail offering of its latest mixed-use development, The Glass Factory. The Glass Factory boutique retail comprises eight strata retail tenancies available to buy or lease ranging in size from 32sqm to 158sqm. The development is located on Vulture Street in Queensland's rapidly growing suburb of West End. Designed by Rothelowman, The Glass Factory follows an increase in Inner South apartments sales in the last quarter of 2013, which have more than doubled on the previous quarter, according to Urbis. "The building's design reflects the eclectic nature of West End's traditional building forms, while providing a contemporary interpretation of it's varied styles," explains Rothelowman's Principal Architect, Jeff Brown. According to Brown, the Glass Factory's architectural expression is a singular, cohesive and respectful addition to what is a highly desired Brisbane location. Urbis Director, Malcolm Aikman, said the results from their latest residential research uncovered promising insights for the inner Brisbane retail outlook. “A strong residential supply forecast for inner Brisbane is expected to drive consumer sentiment and retail growth,” Mr Aikman said. Turrisi Properties Managing Director, Gaetano Turrisi, said the unique retail offering is much anticipated amidst the rapid residential growth in West End. “On the back of the growth we have seen in Brisbane’s inner city residential markets over the past 18 months and with buyers now looking for a true village lifestyle, Brisbane’s inner retail markets are primed for growth,” Mr. Turrisi said. The residential population of West End and neighbouring suburbs South Brisbane and Highgate Hill is also expected to grow to 32,260 by 2021 and double spending to $484,000,000 per annum on retail items alone. 39% of residents are aged between 20 and 34 years and are largely young professional couples with high individual and household incomes. Residents are reported to be spending up to 49% higher on retail items, food and beverage, and services than the Brisbane average, according to an Urbis study area of West End, South Brisbane and Highgate Hill. The Glass Factory sold out of its residential component comprising 47 apartments which was released to market in August of last year.